Compiled by Simine Short with additions by Steve Spicer. Please email Steve with any corrections or additions. Books with biographical and historical references to Chanute's life. This section was originally titled Principal Writings... , but who is to know what is "Principal"? These writings and speeches had a great deal of influence on engineers and aeronautical researchers at the time, but to many people the short, two or three page articles in contemporary magazines that Chanute wrote may have had a "principal" impact, inspiring them to build a glider, fly a kite, become a pilot or otherwise join the multitude of people who marvelled at the miracle of flight. American Railroad and Engineering Journal, Chanute, Octave. "Aerial Navigation." Lecture delivered to the students at Sibley College. Cornell University, May 2, 1890. Jul to Nov 1890, vol. 64, pp. : 316-8, 365-7, 395-7, 442-3, 498-501. Reprinted by Burr Printing House, Frankfort & Jacobs Streets, NY, 1891, 36pp inc. tables. Military Service Institution of the United States Journal. Chanute, Octave. "Aerial Navigation." Lecture delivered to the students at Sibley College. Cornell University, May 2, 1890. Reprinted in 1892, vol. 13, pp. :1193-7; 1893, vol.14, pp.:154-65. 2. Progress in Flying Machines. American Engineer and Railroad Journal A series of 27 articles that appeared from Oct 1891 to Jan 1894. They were bound in book form and published 1894, 269pp, 83 fig. In the bound version, Chanute added two article: Moy, Thomas: The flight of the albatross and Lilienthal, Otto: The Flying Man, the carrying capacity of arched surfaces in sailing flight. Facsimile reprint (1976) by Lorenz & Herzog, Publishers, Long Beach, CA. Pt.I in Means, James, editor. Aeronautical Annual 1896. W.B.Clarke & Co., Boston, Mass. Part II in Means, James, editor. Aeronautical Annual 1897. W.B.Clarke & Co., Boston, Mass. An address, illustrated by lantern slides, by Octave Chanute, C.E., Mem. W.S.E.. Delivered 20th of October, 1897. published in the Journal of the Western Society of Engineers, vol.2, no.5, pp. :593- 628. 7. Diner - Conference du 2 Avr 1903. L'Aeronaute, May 1903, pp.:102-4. Translated as pages 654-9, vol. I, Appendix IV,B of Papers of Wilbur and Orville Wright, edited by McFarland, McGraw Hill, 1953. 2011 saw the first and only complete biography of Octave Chanute. Comprehensive and well written, you can learn more about by clicking the cover. The following books contain biographical and historical information on Chanute and his contributions to manned flight. Crouch, Tom D. (1981). A Dream of Wings. Norton & Comp. New York. Crouch, Tom. (1989) The Bishop's Boys. WW Norton and Company, New York. Gibbs-Smith, Charles H. (1970). "The Gliding Prelude in Practical Powered Flying, 1890-1903. Octave Chanute." in Aviation, An Historical Survey from its origins to the end of World War II. Her Majesty's Stationery Office, London. Horgan, James J. (1984). City of Flight, The History of Aviation in St. Louis. "The Louisiana Purchase Exposition 1904." Means, James (1891). Manflight, self publisher, Boston, Mass. This 30-page pamphlet was sent, postpaid, to any address on receipt of four cents in stamps. Means, James (1894). The Problem of Manflight, W.B.Clarke & Co., Boston, Mass. This 20-page pamphlet was sent, postpaid, to any address on receipt of ten cents in stamps. Means, James (1910). Epitome of Aeronau-tical Annual, Boston, Chanute, Octave. Recent Experiments in Gliding Flight." pp.:52-75. "Soaring Flight: how to perform it." Paper read before the International Aeronautical Congress, in Oct 1907, pp.:76-8. " Means, James Howard (1964). James Means and the Problem of Manflight, during the period 1882-1920, Smithsonian Institution Publication 4526, Washington, DC. Moedebeck, Hermann W. L. (Berlin), Taschen-buch zum praktischen Gebrauch fur Flug-techniker und Luftschiffer. Chanute, Octave. "Fortschritte und neuere Erfahrungen im Kunstflug." in 1904, pp.:322-40. 1911: pp.:600-24. Moedebeck (1907). Chanute, Octave. "Fortschritte und neuere Erfahrungen im Kunstflug." Translation "Artificial Flight," by W. Mansergh Varley in Pocketbook of Aeronautics, by Whittaker & Co. (London), pp.:295-316. Morgan, Alfred Powell (1912). How to Build a 20-foot Bi-Plane Glider, A practical handbook on the construction of a bi-plane gliding machine, enabling an intelligent reader to make his first step in the field of aviation; with a comprehensive understanding of the principles involved. Spon & Chamberlain, New York. Schwipps, Werner (1979). Lilienthal, die Biographie. Arani Verlag, Berlin. Schwipps, Werner (1993). Warum es so schwierig ist, das Fliegen zu erfinden, Otto Lilienthal's Flugtechnische Korrespondenz. Published and edited by Schwipps, upon recommendations of the Lilienthal Museum Anklam. Anklam, Germany. 1895, 20 August. "Flying Machine." Lilienthal, O. Application filed 28 Feb 1894. US Patent Office No. 514, 816. 1897, 18 May. "Soaring Machine." U.S. patent No.582,718. (Machine similar to Lilienthal glider, but with improvements and a seat.) Chanute was also assigned one-half of U.S. Patent No. 582,757, issued May 18, 1897 to Louis-Pierre Mouillard of Cairo, Egypt. 1898, 4 Jan. Augustus M. Herring applied for a patent of the 3-deck machine in the U.S. on 11 Dec 1896 as Serial No. 615,353, similar to British Patent No. 15,221. It was rejected as pure theory on 4 Jan 1898. 1898, 2 Apr. "Improvements in and relating to Flying Machines." O. Chanute British Patent No. 13,373. Application filed 31 May 1897, accepted 2 Apr 1898. 1898, 28 Jun. Butusov, William Paul. "Soaring Machine." U.S. Patent No 606,187. Application filed 15 Jul 1896, Serial No. 599,309. 1906, 30 October - Chanute, "Means for Aerial Flight." U.S. Patent No. 834,658. (The "winch" launcher for gliders as it was used during the 1904 St. Louis World Fair.) Application filed 16 Sept 1904, Serial No. 224, 696. 1. Chanute, Octave, 1832- 1910. MS 62-4604.Papers; 1850-1910; 21,024 items. Civil engineer and aeronaut. Includes correspondence, kite diagrams, sketches, and other material concerning Chanute's role in the history of aviation (1890-1910) including his glider experiments and the technical problems involved, as well as a group of letters (1875-1880) by Alphonse Penaud to Mr. G. Bennett. Main correspondents include Wilbur Wright (1900- 1910, all published in full edited by Marvin W. McFarland, 1953) and Louis-Pierre Mouillard (1890-1896). Other correspondents include Clement Ader, William Avery, R. Baden-Powell, Alexander Graham Bell, Sam Cabot, Lawrence Hargrave, Augustus Moore Herring, Edward C. Huffaker, Samuel P. Langley, Otto Lilienthal, Hiram Stevens Maxim, John J. Montgomery, Percy C. Pilcher, George A. Spratt, Orville Wright, and A.F. Zahm. Material is also related to the Library's Wilbur Wright papers. Includes photostats of some letters to Zahm for the International Conference on Aerial Navigation, Chicago, 1893 (4TL 435). Finding aid available. First and East Capitol Streets, S. E.
1900-1910. This correspondence is in the Library of Congress (above) and was published by McFarland in 1953. It is slowly coming online at 'To Fly is Everything...". This correspondence not only is vital to understanding the relationship between Chanute and the Wright brothers, but is primary source for descriptions of the Wright brother's experiments and eventual success. April 16, 1890 to May 20, 1897, mainly on the subject of aeronautics. Translated into English. Preface by Pearl I. Young. Twelve copies only made. Distributed by E.L.Sterne, aeronautical bookseller, at San Francisco. This correspondence is now online at Gary Bradshaw's site. I must include his webmaster's note here: "Simine Short found one of the 12 copies of the Chanute-Mouillard correspondence, and did all of the hard work in scanning and converting the text and figures. Many thanks from all for preserving and making widely available this unique and important contribution to the history of the invention of the airplane!" 5. Young, Pearl I., 1896-1968. Papers; 1916-1968; 10 linear feet. The first woman technical employee of NASA (formerly the National Advisory Committee for Aeronautics), who started a biography of Octave Chanute. Her collection contains notes, letters, and printed material about him, including 10 drawers of a 3 x 5 card file, and microfilm of the Octave Chanute papers, 1860-1910 (in part). 1. Herring, Augustus Moore, 1867-1926. Augustus Moore Herring papers, 1891-1931. DESCRIPTION: 2.4 cubic ft.
SUMMARY: Transcripts of Herring-Curtiss Company vs. Glenn Curtiss et al., briefs, exhibits, correspondence, and other papers pertaining to this lawsuit, in which William Maloney was one of the principal trial lawyers, and to related litigation; incorporation papers, minutes, resolutions, stock certificates, legal documents, correspondence, and other items (1909-1031) relating to the business affairs of the company; Augustus Herring's scrapbook (1896-1909) and notebook (ca. 1903-1910) dealing with his role in airplane and glider development and his correspondence with the United States Patent Office (1909-1913); blueprints, photographs, pamphlets, and clippings relating to general aspects of aviation development. NOTES: Described in REPORT OF THE CURATOR AND ARCHIVIST, 1958-62. Box list; partial item list. Simine Short, who examined this collection, writes that the scrapbook was microfilmed in 1960 and the original discarded. B) Library of Congress Manuscript Division. Herring, Augustus Moore, 1867-1926. Main Title: Collection, 1908-1924. Description: 47 items. Notes: MSS5431; Forms part of: Miscellaneous Manuscripts collection. Source of Acq. : Transfer, Library of Congress Aeronautics Section, Science Division, 1954. Repository: Library of Congress Manuscript Division Washington, D.C.
Citation from the LOC online catalog. For several years the following collection was listed on these pages as being at CalTech. In September of 1999 I was informed that the collection was not there. It is possible that it is in fact the above collection at Cornell, my mistake having been to list it at CalTech. It is also possible that it is another collection. The call numbers do not match either the Cornell collection or the Library of Congress, but the description is very similar. I leave this collection here in case someone finds it, although I do believe that it is probably the Cornell collection cited above. MS66- 781. Papers collected by William Maloney; 1891-1931; 2 linear feet. Aviation pioneer. Includes correspondence, briefs, exhibits, transcripts, and other papers relating to the lawsuit Herring-Curtiss Company v. Glenn Curtiss et al., in which William Maloney (1891-1931) of Rochester was one of the principal trial lawyers; also correspondence, legal documents, minutes, resolutions, stock certificates and items relating to the business affairs of the company; Herring's scrapbook and notebook dealing with his role in airplane and glider development, and his correspondence with the US Patent Office; and blueprints, photographs, pamphlets, and clippings relating to general aspects of aviation development. Finding aid available. Papers, 1889-1953. 35 linear feet. 1 linear foot of photographs. Series outline and folder list. Aviation pioneer, professor of mathematics and mechanics, University of Notre Dame, 1885-1892, and chief of the Aeronautical Division of the Library of Congress, 1929-1946. Correspondence, 1889-1953; manuscripts by Zahm; diaries, 1930-1941; publications and clippings by and about Zahm; correspondence, reports, and other records concerning his involvement with the Smithsonian Institution, the National Advisory Committee for Aeronautics and its Committee on Aerodynamics, the Library of Congress Division of Aeronautics, the Institute of Aeronautical Sciences, and the War Department; material collected by Zahm concerning the North Pole; records of his experiments including notes, design memoranda, lab records, notebooks, sketches, blueprints, and copyright and patent material; teaching and lecture notes; financial records; photographs; artifacts; and personal effects including a will, membership cards, and addresses. AP-Report. Watkins, John Elfreth, Jr. "Man-carrying kites. Octave Chanute's aeroplane to be built for the Army." Dispatch from Washington, DC dated Oct 9, 1896, carried in newspapers Oct 10, 1896. Aeronautics (NY) Chanute, Octave. "Evolution of the "two-surface" flying machine." Sep 1908, vol 3 no 3 p:9-10; Oct 1908 vol 3 no 4 pp:28-9; also Chapter 1 of book by W.J. Jackman and T.H. Russell, 1914, pp:7-18. Aero. Jour. (London), Chanute, Octave. "Fresh experiments were done in Sep 1897, in the same locality," and "Some American Experiments." vol 2 no.5, Jan 1898, pp:9-10, 5 figures. Aero. Jour. Chanute, Octave. "Aerial navigation." Paper read before Sec. D, AAAS, at St. Louis, Dec 30, 1903. resume in 1904, vol.8 no.31, pp:61-2. L'Aerophile, Chanute, Octave. "La Naviga-tion Aerienne aux Etats-Unis" vol 11, no 8, Aug 1903, pp:171-83, 20 illus. Translated as pages 659-73, vol I, Appendix IV, C of Papers of Wilbur and Orville Wright, edited by McFarland,&127; McGraw Hill, 1953. Aero World Chanute, Octave. "Aerial navigation: Balloons and Flying Machines from an Engineering Standpoint." abstracted and reviewed in Sep 1, 1902, vol 1 no 2, pp:15-6. Aero World (Glenville, OH) 1903. 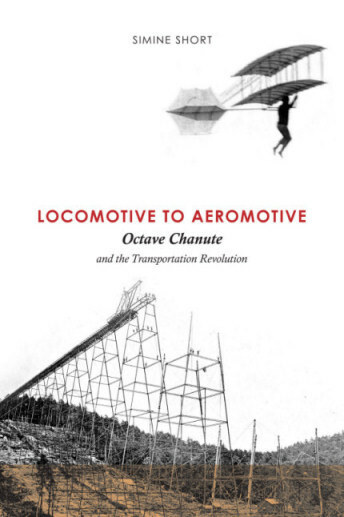 "Octave Chanute's aerial machines," vol 1 no 2 p:20, "Octave Chanute in England," vol 1 no 11 p:256. American Academy for the Advancement of Science (AAAS). Chanute, Octave. "Soaring Flight." Paper read before Sec. D. Engineering of AAAS at Buffalo NY, Aug.27, 1896. Not published in Science. American Aeronaut and Aerostatist. St. Louis, Chanute, Octave. "Pending European Experiments in Flying." vol.1 no.1 Oct 1907, pp:13-5. Reprinted as "How to Learn to Fly." in American Aeronaut, St. Louis, vol.1, Jun 1908, pp:198-203; also Oct 1909, pp:119-22. Bull. of City Club (Chicago), Chanute, Octave. "The development and future of flying machines." Talk to City Club, Chicago, on Nov 13-4, 1908. Nov 18, 1908, vol 2 no 15 pp:191-4 (Crerar library). Cassier's Magazine: Chanute, Octave. "Aerial navigation: Balloons and Flying Machines from an Engineering Standpoint." an engineering monthly (London) vol 20. no.2, Jun 1901, pp:111-23. illustrated. Chicago Daily News, Jun 1, 1910. "Aviation as a sport for Chicago. Chanute says in Paris that many wealthy men are building machines. Cable from special correspondent, May 31, 1910." Chicago Evening Post, Oct 10, 1908 "Pioneer in Aviation lauds the Wrights." Chicago Times-Herald, Sep 4, 1896, visit by reporter Macbeth, but no report found in the paper. Chicago Times-Herald, Sep 7, 1896, visit by reporter Macbeth, but no report found in the paper. Chicago Sunday Times-Herald, Sep 22, 1896, visit by reporter, but no report found in the paper. Chicago Times-Herald, Sep 8, 1897, p:2, "How it Feels to Fly, Reporter tries an aero curve, with one of A.M. Herring's Flying machines he soars 110 Feet on the first trial of his experience. Chicago Tribune, Sep 19, 1894 "Will man ever fly?" Chicago Tribune, 24 June 1896, vol 55 no 176 "Men fly in midair. Chicago experts make experiments on Indiana soil." Civil Engineering Club of University of Illinois. Chanute, Octave "Aerial navigation." Lecture Wednesday afternoon, May 28, 1902, illustrated with lantern slides (reported in the student newspaper). Engineering Magazine (NY and London), Chanute, Octave. "The present status of Aerial Navigation." Apr 1896, vol 2 pp:47-58 . Eng. World (Chicago), Chanute, Octave. "Aerial navigation." Aug 1906, vol 4 no 9, p:222. Ill. Aero. Mitt. Chanute, Octave. "Bevorste-hende Flugversuche in Amerika." Jul 1908, vol 12 no 13 pp:345-9. The Independent (NY) - Chanute, Octave. "Aerial navigation." vol 52. Part 1: Intro-duction; balloons, Apr 26, 1900, pp:1006-7; Part II: Progress in flying machines, May 3, 1900, pp:1058-60. Jour. West. Soc. Eng. Chanute, Octave. "Address of Mr. O. Chanute, the Retiring President." January 7, 1902. published Feb 1902, vol 7, no 1, pp:1-9. Jour. West. Soc. Eng. "Some Aeronautical Experiments," by Mr. Wilbur Wright, Dayton, OH. Presented to the Western Society of Engineers, September 18, 1901, with an introduction by President Chanute. Jour. West. Soc. Eng. Chanute, Octave. "Discussion of address by Wilbur Wright "Experiments and Observations in Soaring Flight." vol 8, 1903, pp:400-17; there are discussions by seven other members. Jour. West. Soc. Eng. Chanute, Octave, Hon. M.W.S.E.. "Recent Progress in Aviation." Presented October 20, 1909. Published Apr 1910, vol 15, no.2 pp:110-37. Jour. West. Soc. Eng. - Chanute, Octave. "Chronology of Aviation." World Almanac, 1909, pp:432-8, 6 paragraphs and table. Reprinted in Apr 1910, vol 15 no 2 pp:138-47. Jour. West. Soc. Eng. Bates, Onward, Robert W.Hunt, Charles LF.Loweth, Charles L.Strobel, Committee. "In Memoriam, Octave Chanute, died November 23, 1910." May, 1911, vol 16, no 5, pp:439-45. McClure's Magazine (NY) - Chanute, Octave. "Experiments in Flying, an account of the author's own inventions and adventures. "1900, vol 15 no.2, pp:127-33, 13 illus. 9 of Chanute's gliders in the Indiana Dunes and 4 of Pilcher. New York Herald. - Chanute, Octave. "Five Years Study of Flying Machines." May 19, 1907, p:3-5, 17 paragraphs. Popular Science, Chanute, Octave. The Proceedings were reviewed in May 1895, vol. 47, p:129. Revue General des Sciences Pures et Appliquees. - Chanute, Octave. "L'Aviation en Amerique." Nov. 30, 1903, vol 14, no 22, pp:1133-42, illus. (also a 10-page reprint). Sci. Suppl. Friday, Sep 1886 "Proceedings of the section of mechanical science and engineering." Sci.Amer. Chanute, Octave. "Opening Address, Conference on Aerial Navigation." held in Chicago, Aug.1-4, 1893, in connection with the Columbian Exposition. An account of the Congress was given in Aug 19, 1893, vol.68, p:114. Sci.Amer. Oct 31, 1896, "Aerial Flights, experiments of Octave Chanute." vol 75 p:329. The article was preceded by a one paragraph editorial on "Aerial Navigation," on Oct 24, 1896. This article won't prove very useful to anyone interested in building a Chanute glider. The author spends a lot of this short article describing how to make turnbuckles. Sci.Amer. Zahm, Dr. Albert F. "Octave Chanute, His Work and Influence in Aeronautics." May 13, 1911 pp:463, 488. Sci. Americ. Suppl. Chanute, Octave. "Motors for Aerial Machines. "1893, vol.35, pp:14281 (added to Cornell talk of 1890). Sci. Amer. Suppl. Chanute, Octave. "Gliding Experiments," 1898, pp:18368-9. Sci. Amer. Suppl. Chanute, Octave. "Aerial navigation." Paper read before Sec.D, AAAS, at St.Louis, Dec 30, 1903. Mar 26, 1904, vol 57, pp:23598-600. Sci Amer. Suppl. Chanute, Octave. "History of Wright Flying Experiments." vol. 63, Jun 1, 1907, p:26262. Smithsonian Annual Report (1903) Chanute, Octave. "Aerial navigation." Paper read before Sec.D, AAAS, at St.Louis, Dec 30, 1903. Washington, DC, 1904, pp:173-81 St.Louis Post-Dispatch, Dec.30, 1903. Chanute, Octave. "Aerial navigation." Report of paper read before Sec.D, AAAS, at St.Louis, Dec 30, 1903. Westchester Tribune, 3 October 1896, "Ship Fails to Fly, Albatross and Inventor Drop Sixty-five Feet. End is Made of Tests." AP Report "1896 glider flight to be memorialized, biplane flew for 350 feet at Indiana dunes." in Indianapolis newspaper July 9, 1990. Aeronautics (American Engineer and Railroad Journal) (1893-1894). M. N. Forney, editor, first printed the proceedings in a new periodical he started Aeronautics. The first issue was Oct 1893 and Forney took subscriptions for 12 monthly issues only. Chanute edited the proceedings and then Forney closed out the periodical as a separate entity, made it part of the Railroad Journal, named Chanute as associate editor. The book "Proceedings of the Conference on Aerial Navigation" were printed in 1894. Bunting, Henry S. "Eyewitness to Octave Chanute's Secretive Flights". in Aviation History, Sept. 1997. (From a collection of reminiscences by Bunting written later in his life. Printed in Aviation History Magazine. Bunting is the author of a Chicago Tribune article about Chanute's flights that is reproduced on these pages. Chicago Daily News, Jul 11, 1936. Article on Chanute. Chicago Daily News, Oct 4, 1940. Sweetland, Reginald. "First American to Fly - Tells of 12-winged plane. An interview with William Avery about his long association with Octave Chanute. In addition to building the gliders of 1896, he flew in all of them, and exhibited a Chanute aircraft at the St. Louis Fair of 1904. Chicago Tribune Sunday Magazine, Jun 23, 1957. Slawson, H.H. "Aviation's forgotten man. Seven years before Kitty Hawk Octave Chanute's biplane glider soared over the Indiana Dunes." Civil Engineering, "Early Presidents of the Society, XI. Octave Chanute, 1832-1910, President of the Society." Dec 1937, vol 7 no 12, pp:871-3. Engineering Magazine, (NY) Chanute, Octave. "Progress in Aerial Navigation." 1893, Vol.2 no.1, pp:161-73. Fowle, Frank F. "Octave Chanute, Pioneer glider and Father of the science of Aviation." Remarks by the President of the Western Society of Engineers, July 11, 1936. Copy of remarks was given to the Chicago Historical Society. Gary Post-Tribune, July 6, 1936. Thixtun, Jake. "Chanute's first glider flight from high dunes in Miller, near Gary, Indiana. "An interview with William Westergreen who saw Chanute fly. Gary Post-Tribune, July 9(? ), 1936"Unveil Chanute Memorial Tomorrow for 1st Glider Flight from Dune 40 Years Ago,"
Gary Post-Tribune, July 10, 1936, Thixtun, Jake. "Tells of Chanute's First Glider Flight from High Dune in Miller,"
Gary Post-Tribune, July 11, 1936 p:16, Jones, Alfred. "Chanute's Glider Hops Have Page in Air Annals, " Gary Post-Tribune, July 11, 1936 p:10, "Tribute paid to Chanute in Rites at Park. Memorial to `Father of Aviation' dedicated; Engineer talks." Gary Post-Tribune, July 13, 1936, p:9. "Laud Father of Aviation in Dunes Flight,"
Indiana Magazine of History, Moore, Powell A. "Octave Chanute's experiments with gliders in the Indiana Dunes, 1896." Dec 1958, vol 54 no 4 pp:381-90. NSM. Kidd, Glenn. "St. Louis little known first." Spring 1978, vol 2 no 2 pp:6-7. NSM. Crouch, Dr. Tom "Octave Chanute and the Indiana Glider Trials of 1896." Popular Aviation. Jan 1928. "Chanute's original models found." vol 2 no 1 pp:52-3, illus. Refers to some models at Museum of Science and Industry in Chicago. The three models that Chanute had made on request for the Smithsonian Institution in Washington were never lost. Vidette Messenger (Valparaiso, IN). Anderson, Arthur E, Chesterton, Ind. "Research reveals Octave Chanute tested gliders in dunes in 1896." Jun 3-9, 1954.